officially announced the Honor V9 with HiSilicon Kirin 960 processor and Mali-G71. The processor is manufactured by Huawei and located at Huawei Mate 9. It has a 4 or 6GB RAM memory, 64 or 128GB built-in memory, expandable. The Honor V9 has a 5.7 inch LCD screen qHD resolution (1440 x 2560 pixels), 8 Megapixel front camera and camera back is dual 12 Megapixel lens with f /2.2 aperture and dual-LED flash. The camera on the back includes laser focus feature for 3D modeling. Note that the V9 is the first 3D modeling smartphone world and allows users to 3D-print things that are photographed. The characteristic sounds quite interesting and will be one of the reference points to promote sales. 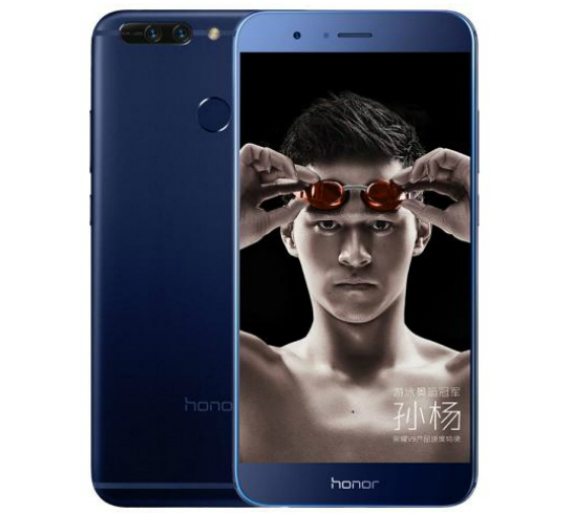 The Honor V9 has a 4000mAh battery slot for two SIM cards, sensor socket fingerprint on the back, USB Type-C and LTE. Its dimensions are 57 × 77.5 × 6.97 mm. and weighs 184 g. It runs Android 7.0 Nougat and EMUI 5.0. Will be available in gold, black and blue from February 28 in China.